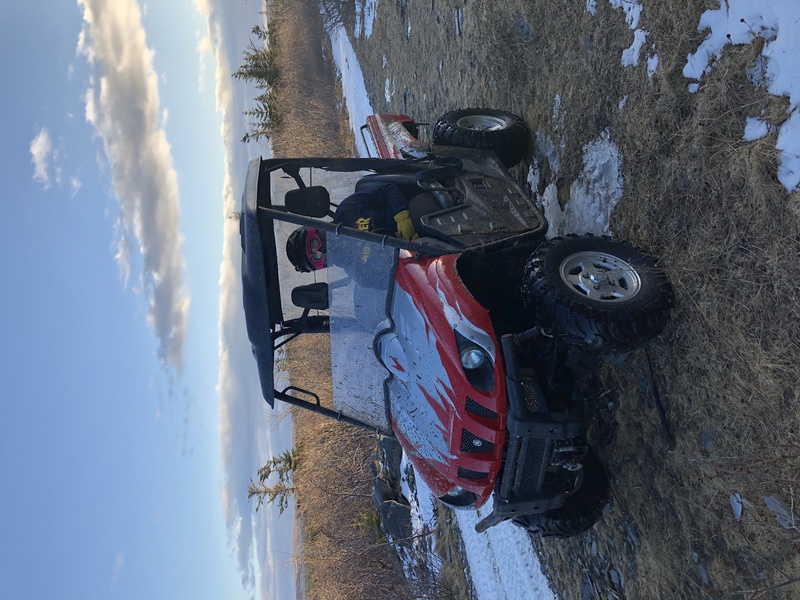 Yamaha Rhino Forum - Rhino Forums.net > Members > New Members > Hello from Newfoundland!! My Rhino journey has been an interesting one for sure. Purchased what I thought was a 2005 Rhino 660 SE. I later found out it's a 2007. It needed TLC and I put new tie rods, ball joints, swing arm bushings and wheel bearings all around. Installed a 2" lift and 2" spacers. Then my kids rolled it after slipping on ice. They both had seat-belts and helmets on thank God. My daughter ended up with a broken arm needing surgery. Everyone will be okay. The fire department had to cut the roof/roll cage off with the jaws of life. I can't find a cage anywhere in Canada!!! Obviously the Rhino is a good machine as there are very few scrapped and second hand parts a scarce. There are a couple on eBay. Two questions: anyone know of a roll cage for sale, and has anyone had had any experience with eBay shipping? I'm thinking I'll end up paying more for freight than the part. Thanks!! Welcome to the site, me I would find a welder and have him rebuild the cage. Post a picture of the cage as it is now and that will tells us what you have to work with. I'll post some pics later but the cuts are in bad places. Where the tubing curves and where the gussets and hand grips are. One is right where the seat belt bracket is. Welcome from Tuscola Tx. Love the countryside up there, back when i was in the airforce we would stop up there overnight on our way to england on the c-130. As far as the cage goes it doesent sound good but any welding shop should b able to hook you up. Always great to meet a military person, especially one with a connection to Newfoundland. Thank you for your service!!! I have been in contact with a welding shop and they are going to take a look. Updates and pics to follow!!! RHINO RAT and Brian Lee Rhino450 like this. I ended up ordering a used roll cage for a 2007 on eBay. Welding shop gave me a $2000 minimum estimate and no guarantees it could be fixed. Also wanted a waiver signed relieving them from any safety liability relating to the roll cage structure. So the roll cage part that is part of the body is bent also, is that why the price is so high to fix? Frame is fine, it's just the bolt on cage. It is $2000 Canadian. Our dollar is worth about 70 cents US. Welding shop rate here is $70-$100 an hour. Welcome aboard NLGREASMONKY I am relatively new here to. I think you will find this sight quite informative. Sorry to hear about the broken arm but glad to hear everybody is OK.